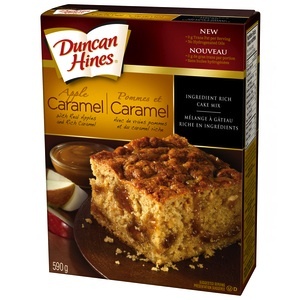 On Checkout 51’s list this week (Sept 19-25, 2013) is Duncan Hines Cake Mix, any variety. Duncan Hines Chewy Fudge Brownie mix – Everyone you love deserves Duncan Hines®. Indulge yourself and the special people in your life with fresh baked brownies. But make the most chocolatey, fudgy treat you can. Make them the best. Make them Duncan Hines®. You will get $0.50 cashback rebate at Checkout 51. Here’s a pic of what it looks like. I found a couple prices of it at a few stores. Checkout51 offer expires midnight Wednesday Sept 25, 2013. You must purchase in Canada and upload your receipt between Thurs Sept 19-25, 2013 to qualify for the cash back rebate. Check out here for more Checkout 51 cash rebates for this week.